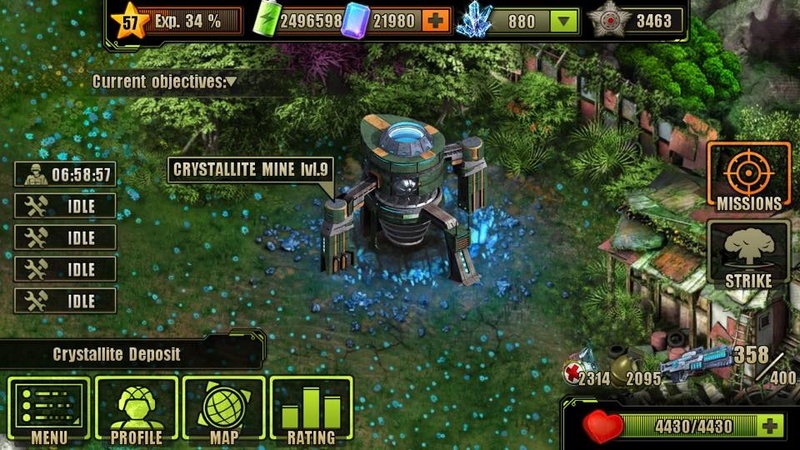 The Crystallite Mine is one of the many Buildings in Evolution: Battle for Utopia game. The Crystallite Mine supplies and stores Crystallite – one of the main Resources. The Crystallite is one of the rarest elements in the game. 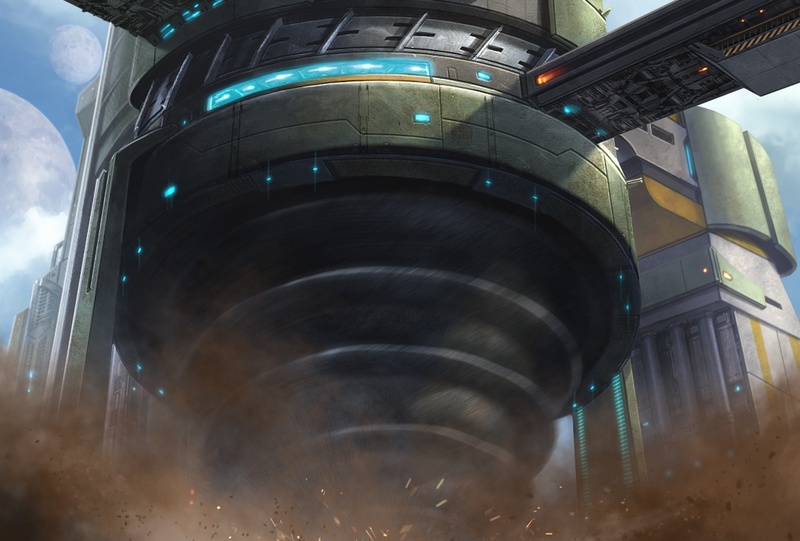 It can be used to augment units among other things, and is a valuable commodity in this time of war. The mine can be build in the Crystallite Deposit location. Discover this location by hacking second Helicopter at the Black Legion Base, then, to unlock it, complete five battles with your partner’s damage above 7000. 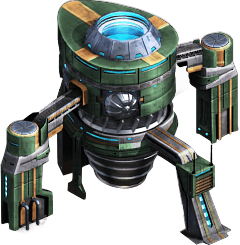 The Crystallite Mine technology must be purchased in the “Tactics and Strategy” menu for 700 after you will reach 46 , then researched. You must clear and terraform Crystallite Deposit location first. Then, you can build a mine for 100 , 100 , 100 and 1 hour of time. After building this mine it is full of 50 . Don’t forget to collect Crystallite from the Mine, otherwise, further production will be stopped. Before you collect already mined Crystallite from the mine, check the enough space for it in your Storage Depot. Else, the excess of Crystallite will disappear! 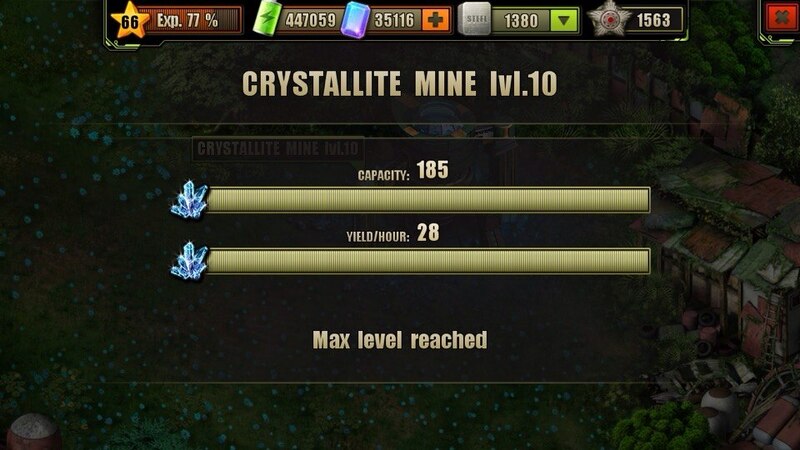 You can upgrade the Crystallite Mine to increase it’s rate of production and storage capacity. It may be upgraded up to level 10. You will need for this more then 33 real time hours and 1000 not counting other resources. Is this building worth to build? My Crystallite mine stopped producing, can I get it back to producing?